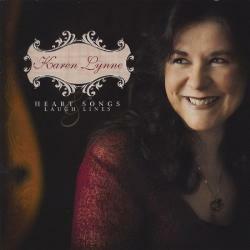 January 2011 brings a year of hard work to conclusion for Karen Lynne, with the release of her ninth album Heart Songs & Laugh Lines. This album salutes & returns her to a Classic Country setting, without even a hint of new-age Country Rock or Pop. This is old fashioned pure Country, a style that has been a little lost in the Industry’s current wave of younger contemporary artists. The album contains 14 new tracks, produced by Sydney producer Herm Kovac who uses a solid line up of well known Australian musicians & singers including Stuart French, Michel Rose, Brad Bergin, Ian Lees, Gary Steele, Bill Risby, Luke Moller, James Gillard & Mark Punch. Kovac also draws on some great USA talent, namely Tim Crouch (Fiddle & Mandolin) and well known Nashville based Resonator Guitar ace & singer/songwriter in his own right, Randy Kohrs. Randy contributes some outstanding Resonator Guitar playing and also joins Karen in a stunning rendition of the classic Louvin Bros cut Every time You Leave. This is mostly a collection of more known country songs, either written or made famous by Country Music’s best. They include hits from George Strait (I Cross My Heart); Clint Black (Something That We Do); Patsy Cline/Willie Nelson (Crazy); Mary Chapin Carpenter (Dreamland); Collin Raye (Corner Of The Heart) and Vince Gill & Guy C Clark (Jenny Dreamed Of Trains), but also draw upon some top Australian writing talent as in Bruce Woodley & John Farrar (The Rose & the Briar) and two of her own co-writes with Allan Caswell. The songs are sewn beautifully together with threads of the many and varied facets of love and how it has graced her life & musical journey, hence the title. Being in love, out of love, lost love, unrequited love, spiritual love, love of children, friends and the relationship journey itself. Her voice is effortless & emotive, and this combined with great songs, make this album a must have in any true Country Music lovers’ collection. While a writer herself, Karen has never filled her albums with her own work, it’s clear that she is about great songs, not just showcasing herself as a writer. That said, her co-writes are well-written solid songs, one being a biographical style glance at her life in music and a reflection of what that journey has ultimately meant to her. As with the music, the album artwork is top class work from StudioGoonga, a perfect representation of the singer herself, the look & feel radiating beauty, maturity and class; and includes a special dedication of note to some of her greatest fans. 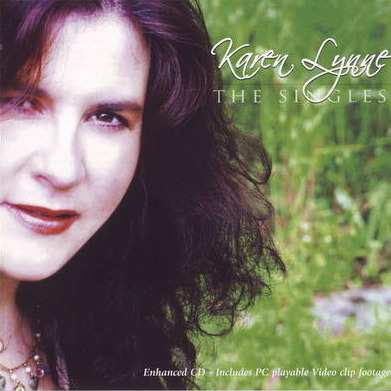 Heart Songs & Laugh Lines is only Karen’s second full ‘classic’ country album in an impressive career & music catalogue containing Country, Australian folk & Bluegrass, although her obvious love of acoustic music does shine through on such tracks as Jenny Dreamed of Trains and Friends, with their tasteful fiddle & banjo adding a subtle bluegrass feel throughout. Even after 25 years, Karen continues to gain credibility as an artist and consistently delivers quality product, an achievement which is never easy for older female artists in such a vibrant and ever changing Country Music Industry. For lovers of the classic Country sound, this album is a breath of fresh air in a persistent smog of Country Rock & Pop. 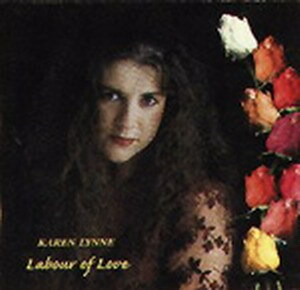 Karen Lynne says she made Heart Songs and Laugh Lines mainly for herself, but I won’t be surprised if it hits the mark with fans so much that it becomes her most successful album to date. This is a beautiful album that captures the essence of country music: it is heartfelt, warm, real and accessible, celebrating a life well lived and being in a place of contentment. Produced by Herm Kovac, Heart Songs and Laugh Lines is full of what Karen describes as “real country music” – pure, unadulterated country as it used to be. Karen’s sweet, pure voice has found its home here, bringing new life to some of the great classics. 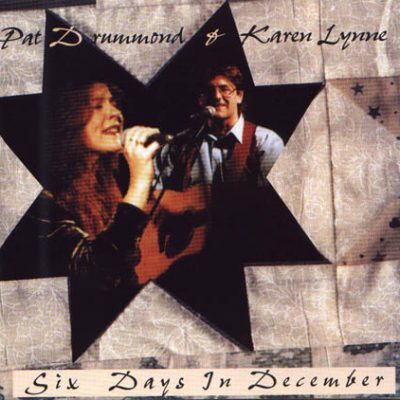 Highlights include Karen’s own compositions, “The Road That Brought Me Here” and “There for You”, both cowritten with Allan Caswell, her exquisite renditions of “Crazy” and “Why They Call It Falling” and the beautiful lullaby “Dreamland”. I also loved the bluegrass-flavoured “Jenny Dreamed of Trains” and “Friends”. Nashville musician and singer Randy Kohrs joins her to duet on “Every Time You Leave” – another standout. 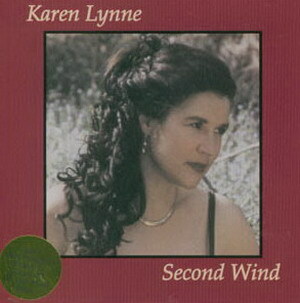 Karen Lynne has always been under-recognised in Australian country music. This album shows why she should be right up there amongst its leading lights. 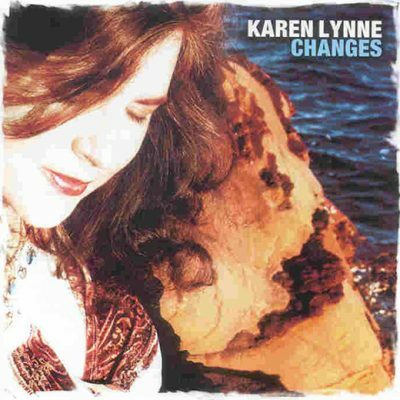 I absolutely love this latest album from Karen, her ninth to date. It’s a class act! But seriously, she’s a ‘Hands of Fame’ recipient, a multi-award winner and after three international tours under her belt, you would expect nothing less! From the first track, Unbreakable Heart (Benmont Tench), the album captures my attention…no mean feat these days. Karen’s crystal clear vocals shine through on every track. There’s a beautiful duet with Randy Kohrs – Every Time You Leave (Charlie & Ira Louvin) penned by the famous Louvin Brothers, Jenny Dreamed Of Trains written by Vince Gill & Guy C Clark – a fabulous song about trusting in the Universe or, if you like, having faith in God. Actually, I can’t help but have a little giggle at Karen’s expense…in her cover notes she writes; “No Bluegrass or Country Folk this time around…” but having a song written by Vince Gill almost guarantees at least a hint of Bluegrass/ Country Folk! 🙂 I Cross My Heart (Steve Dorff & Eric Kaz), previously a big hit for George Strait, Karen presents it with style here. I just loved Why They Call it Falling (Roxie Dean & Don Schiltz), You Beat All I’ve Ever Seen (Kostas/Melba Montgomery/Kathy Louvin), the ever popular Crazy (Willie Nelson), and Corner Of The Heart (Hugh Prestwood) I guess you can blame it on my romantic heart. 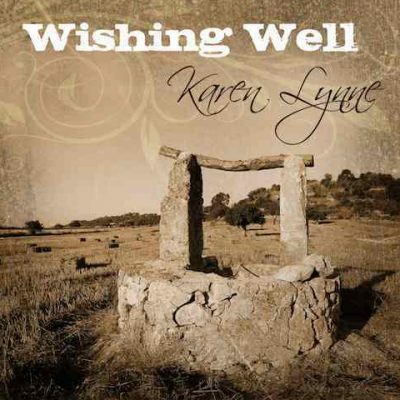 There are two tracks co-written by Karen and her mate Allan Caswell – The Road That Brought Me Here (Allan Caswell & Karen Lynne) and There For You (Allan Caswell & Karen Lynne) both great country songs. A lovely little lullaby written by Mary Chapin Carpenter called Dreamland (Mary Chapin Carpenter) that Karen recorded for her “precious little boy”. The three remaining tracks -The Rose & The Briar (Bruce Woodley & John Farrar), Something That We Do (Clint Black & Skip Ewing) and Friends (Joni Harms & Buck Moore), are just as inspiring as the rest, but I’m running out of space, suffice to say, they are beautifully written songs which are brilliantly sung by one of our most underrated country singers in Australia.